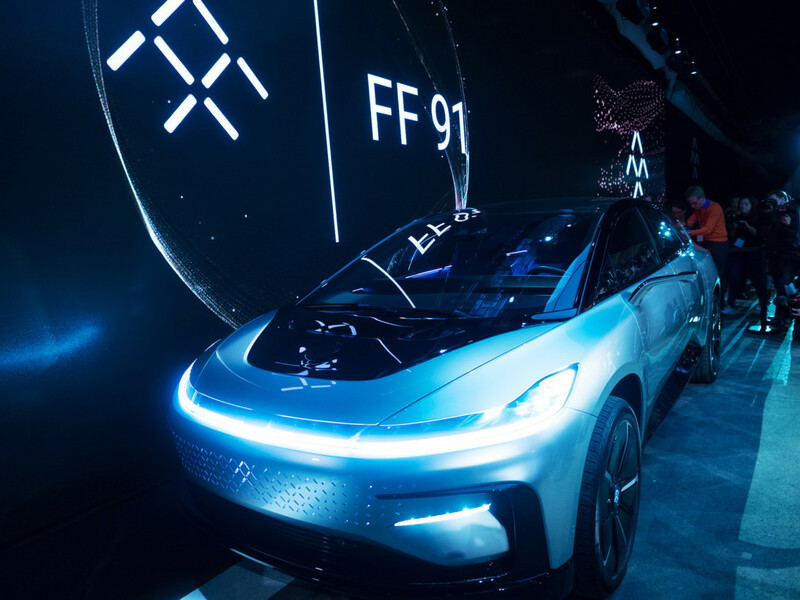 Faraday Future — or FF as it prefers to be called — is a company on the verge. It’s not hyperbolic to assume its entire future rests on the events transpiring at a user-secretive location full of men in suits, champagne, and fancy finger foods I can’t even begin to pronounce. Two evenings before the official opening of CES, the company has a lot riding on a single event. FF was in a similar position last year. The company emerged from nowhere and rode a wave of mystery, and Chinese money, to a CES debut that fell well short of expectations. It’s FF, after all, that claimed it would be a better Tesla. After a series of high-level talent acquisitions (from Apple, BMW, Ferrari, and Tesla) and plans to build a $1 billion factory in Nevada, it was easy to believe the hype. Faraday now seems destined for a head-on collision with reality. Its Chinese billionaire investor, Jia Yueting, seems to be running out of money. In addition, some current and former employees really aren’t sure who they work for. Reports suggest the company diverts resources to a direct competitor, Jia’s other company LeEco (a company promoted at FF’s event, oddly enough), at will. The problems don’t end there. FF employees aren’t even really sure who owns its intellectual property. A separate entity, FF Cayman Global, raises questions about what the hell is really happening and who owns what. There’s also the question of who suppliers should target should the company fail to pay suppliers — something that’s already happened at least once and ended in a lawsuit after seat supplier Futuris sued the company for $10 million after claiming it breached contract by not paying its bills. If you need more problems, FF has them. After debuting its Batmobile-esque concept car at CES 2016, the less-than-stellar reaction led to plans of shelving its $1 billion Nevada facility. Needless to say, a lot is riding on what transpires this evening. Throughout the year, FF plans to tell its story in chapters. Today, it reports, is chapter one. The car, if it is indeed a Tesla competitor, is a worthy one. The technology alone, if accurate, puts Tesla’s to shame. Multiple modems keep you connected while two aerodynamic antennae function as an internet broadcast system that (reportedly) reaches fiber speeds. Add to that 10 front-facing cameras, 13 long and short range radar units, 12 high-performance sensors, and a high-definition 3D Lidar system. Reports suggested that FF had set a goal of creating a battery that produces enough power to drive circles around a Tesla Model S P100D while providing industry-leading range. Success. The goal, according to reports and rumors, was a 110 kilowatt battery, slightly besting Tesla’s top offering. The company hit 130 kilowatts instead. It’s not only capable of an insane 0-60 mph time of 2.39 seconds, but also an industry-leading 378 miles of EPA adjusted range — or 482 miles if you’re capable of cruising at 55 mph without variation. An in-person demo showed the car clearly beating the Tesla Model S — and the Model X — as well as a Ferrari, and Bentley Bentayga. Put simply, Faraday Future — if the numbers are accurate — just created the fastest accelerating electric vehicle in the world, and not by a small margin. Will it save the company? Time will tell, but it’s a much better showing than last year — or, it was until the car failed to work as intended when summoned near the end of the event. 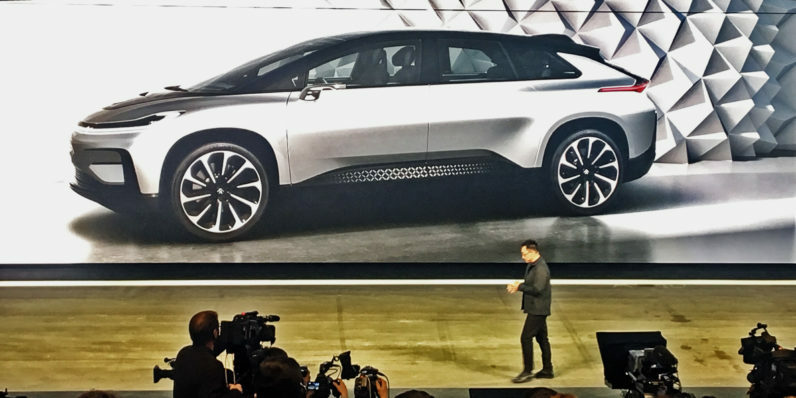 Faraday Future, it seems, is destined to remain a mystery. 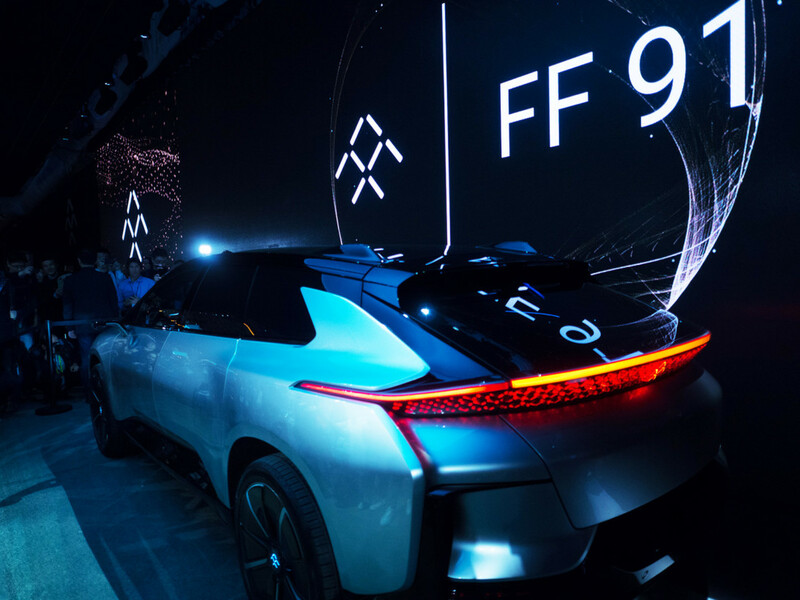 Faraday hopes to begin delivery of the FF 91 in 2018. There’s no final pricing yet, but you can register on ff.com by putting down a refundable deposit of $5,000. The company is also making 300 special ‘Alliance Edition’ vehicles with a signature color and exclusive physical and digital features that FFID registrants will be eligible to upgrade to in March.